List of 4 available hotels in New Delhi . These New Delhi hotels can be booked online. Choose a hotel based on your preference by area, budget, star rating, etc. New Delhi is the capital of India and one of the biggest metropolis in India. The cities is a popular business as well as a tourist destination. Popular tourist attractions in India include India Gate, Red Fort / Lal Kila, Qutub Minar, Raj Ghat, Humayun's Tomb, Ashoka's Pillar among others. New Delhi's main railway station is located in Pahar Ganj and close to Karol Bagh. The international domestic airports are located about 20 kms from the city center. Hotels in Delhi are spread all over the vast city. Hotels in New Delhi near Karol Bagh and Paharganj are considered centrally locations and are perfect for tourists travelling to Delhi for sight seeing. Your will find both budget and luxuy hotels in New Delhi in these areas. Hotel Mandakini Palace is a top rated mid-range hotel while Le-Heritage is among the popular budget New Delhi hotels. Clark International is among the luxury hotels centrally located in New Delhi. Hotels in New Delhi close to Red Fort / Lal Kila include Hotel Yuvraj and Hotel Le-Heritage - both within 5 kms from this popular tourist attraction. 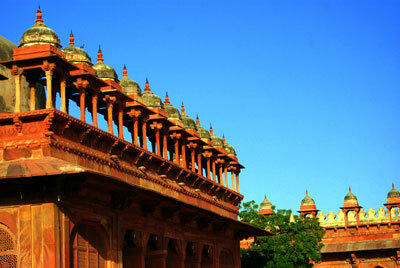 Hotel Shanti Palace is among the hotels closest to the Qutab Minar. HotelPushpak.com is travel website designed to help tourists plan a perfect holiday or business trip to New Delhi by providing hotels that is suited to your needs - both in terms of your budget and location. You can book hotels in New Delhi at great rates from the comfort of your home. You will find both extremely affordable Economy New Delhi Hotels as well as High End / Luxury hotels.